According to Express News, a family was recently awarded $124.5 million in compensation because their seven-year-old son suffered severe brain damage while riding in the family's Audi. The vehicle was rear-ended and the front seat collapsed backward. This caused the head of the driver to strike the head of his son, who was sitting in the seat directly behind the driver's seat. The seven-year-old boy sustained a depressed skull fracture and was left partially blind and paralyzed. He requires full-time medical care as a result of the severity of his injuries. Both Audi and the driver who rear-ended the family vehicle were found responsible, but Audi was considered to be the most at fault because of the problem with the vehicle that resulted in the seat collapsing to the back. In situations where there is a defect in a vehicle that causes or contributes to an injury, car makers can be held liable under strict liability rules, even without proving negligence. An Atlanta defective product lawyer can help victims to pursue a case for compensation from car manufacturers and from other manufacturers of defective products. The fact that the Audi seat collapsed backwards was not an isolated incident. A news investigation revealed that both the front driver's seat and the front passenger's seat can do this when a rear-end accident happens. The occupants of the seats in the front are launched backwards into the occupants in the rear of the vehicle when this occurs. 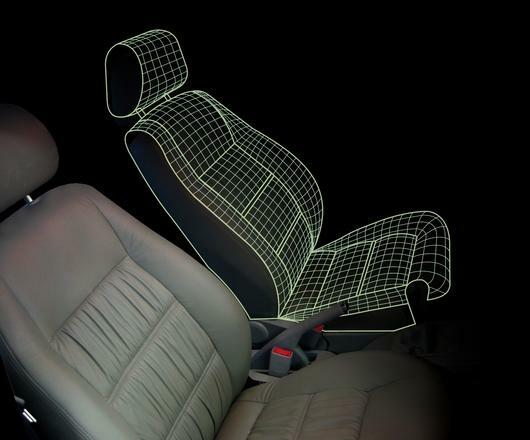 An engineer for Audi who was deposed in the case indicated that the seat design which prompts the seats to collapse backward was not accidental, but was intentional. The design of the car seats requires the person in the back seat to essentially support the person in the front seat with his knees. The attorneys for Audi and for other car makers indicate that this design, in which seats collapse backwards, is a good thing because the seats are able to absorb the impact of the crash and protect the driver and the front passenger. Unfortunately, if a child is in the back seat of the car and an adult in the front seat is launched backwards, the child can be hurt. The Audi seats met or exceeded the federal requirements as far as strength and other safety standards, but despite this, Audi was still held accountable. The National Highway Traffic Safety Administration (NHTSA) and other car manufacturers have also allegedly been aware of the propensity for the seat backs to collapse for decades. Despite this, the jury determined that Audi should be held accountable for the injuries sustained in this crash because they found it to be a vehicle defect that led to the child being left paralyzed. NTHSA indicates that the types of rear-end collisions causing this type of seat collapse are unlikely to occur, which is why no action has been taken to change the seat design. One 2008 study, however, found that children who were in the back seat of a car could end up facing twice the risk of injury in the event that a front seat collapses when the car is rear-ended. Parents need to be aware of this fluke in car design and should consider pursuing a case for damages if their child is hurt in a rear-end crash.